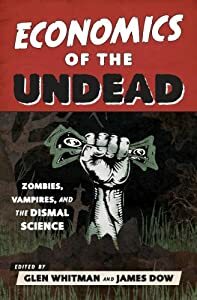 Tontines: How Vampires Really Got Rich? The tontine, with its underlying premise that the living participants benefit from the death of their fellows, does not deserve its shadowy reputation. It had some success in its original purpose, as a means of government fund raising. It was most successful as a means of private development and investment from around 1780 through the 1850’s. However, it was used as a gimmick in the selling of life insurance and as a cover for outright fraud in the latter part of the 19th Century. It was also subject to attack from writers who found the notion of gambling on other people’s deaths unseemly. The tontine developed an aura of shadiness, and was eventually abandoned. If re-developed as a form of insurance for the long-lived, it may be worth rehabilitation as an investment tool. However, as McKeever notes in his email, the existence of undead investors could wreak havoc on the administration of tontines. This suggests to me a possible alternate history of how vampires became rich: by taking part in tontines with unsuspecting human partners. This entry was posted on Monday, July 28th, 2014 at 11:59 am	and posted in Uncategorized. You can follow any responses to this entry through the RSS 2.0 feed.